Raising outside capital is an intimidating, humbling, stressful, and frankly, exhausting process, but one almost every startup will need to undertake at some point. However, after years of representing founders, startups, angels, VCs and private equity firms, several common lessons emerge, each tied to one overarching theme: potential investors rely on certain indicators of underlying fundamentals or flaws to quickly determine whether to spend additional time learning about your company, and hopefully, invest money. Because raising capital is a fundamentally optimistic endeavor and entrepreneurs detest being told “no” or “don’t,” I start with what a list of “do’s” that will keep the focus on your actual concept and team, and help you avoid one of the rookie mistakes that have doomed countless startups. Education is empowering. 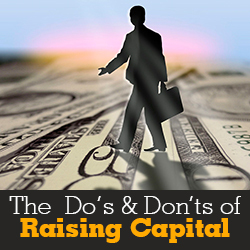 Research everything you can about raising capital to educate yourself. However, because there are almost as many theories as there are resources to explain them, keep an open mind as there are few absolutes when it comes to securing funding. Take the initiative to research potential investors in order to identify value-add relationships. This shows you took the time to research an investor’s experience and history, which signals that you have also approached your venture with the same level of thoughtfulness. Like the rest of us, investors hate spam and are much more likely to respond favorably to a referral from a contact, so make the extra effort to secure a warm introduction to potential investors. (A broker doesn’t count). Know before you meet how much money you actually need and how you plan to spend it. No savvy investor will write a blank check and it demonstrates you have thought through a budget. The investor may disagree with your budget, but will respect your planning. Investing in yourself is one of the best ways to project confidence. Investors want to see that you or your friends and family have invested in your enterprise. It shows that you and those close to you truly believe in your concept, and more importantly, believe in you. Have a team in place (or at least identified). Let me share an important secret: Investors are often betting more on your team than your concept. It is impossible to succeed on your own. Regardless of how hard you work and how talented you are, I can guarantee that you will need to surround yourself with others with expertise that differs from yours, such as sales, technical support, basic finance or your industry. Meet with an experienced attorney so you feel comfortable communicating the basic structure of your company and investment terms. Your attorney will be an extension of yourself in the negotiations and should demonstrate an understanding of the complexities of your industry, not just have a good form convertible note. They should have experience representing both companies and investors so that they can provide the most valuable advice regarding what is reasonable throughout the process. Additionally, a lawyer (and CPA) can help prevent fatal tax or legal mistakes that can kill later rounds and exits. An idea and a deck is never enough, so you should be prepared to demonstrate some traction, beta results or sample period of sales/users, etc. A pitch desk is just the bare minimum, so encourage investors to take an interactive test drive. Investors are humans who love to play with new toys, just like the rest of us. Demos, prototypes, and fly-throughs engage the investors and are often more successful in demonstrating the potential and value of your concept than a staid business plan and hypothetical growth curve alone can provide. Take the time to develop some minimum materials. One of the most common rookie mistakes is requesting an NDA too early in the process. Instead, you should have a tight one-page executive summary and a short (10-20 slide) pitch deck, neither of which contain confidential info. You should also have a short elevator pitch that can be turned into an email introduction to make sure you don’t miss an opportunity to describe your business in your own words. Less important to most investors is that you have a formal business plan or financial model. However, do force yourself to go through the exercise of developing an internal business plan and a financial model which can be synthesized and incorporated into your executive summary and short pitch deck. Make sure your organizational documents and minute books in order. Even if you don’t think it matters, organized documents, even in a folder on the cloud, sends a signal that you are thorough and organized. If you appear sloppy or unprepared, diligence will be more probing and you are simply less likely to get money. It’s time to finally get paid, right? Not quite yet. Don’t ask for a six-figure salary, or even expect a full salary, for the first few years. As a general rule a Seed round doesn’t include a salary, but a Series A raise might in certain situations. If you are 20 and single, investors may expect you to stick with the light beer and ramen noodle diet a little longer. However, if you are married with three kids, investors might be open to a discussion about cash flow needs, like a mortgage and utilities, and peg later raises to certain milestones. When determining how much money you will be seeking, don’t allow yourself to get hung up on your initial valuation, especially if you are pre-revenue. At that stage, it is all hypothetical. You will almost certainly be forced to agree to some terms that you don’t like in order to secure funding, but don’t agree to overly restrictive terms, especially in the Seed round. At a minimum, make sure certain terms expire if the investor fails to participate in later rounds. Although you should have discussed your ideal terms with your attorney, don’t offer the first detailed draft of a term sheet. Providing those draft terms to an investor may result in less favorable terms than would have otherwise been requested. It is entirely possible that you will be asked to restructure your company, dilute yourself with an employee equity pool or vest into founder shares (but only if there are multiple founders). Don’t take the request personally, and evaluate the proposals as dispassionately as possible so that you are comfortable that you are doing what is best for the company’s long-term success. Similarly, investors will inevitably offer you “constructive” criticism. Don’t take their comments the wrong way. Investors can’t help but try to poke holes in your assumptions, plans and strategies. It is human nature. Instead, recognize this grilling for what it is: a gift, and perhaps, even a sign of interest. How effectively you defend your thesis while showing genuine appreciation for their insights shows you will be able to navigate the inevitable bumps in the road and pivots your company is sure to face. Thank investors graciously for any feedback. Don’t expect dumb money. Increased access to angel networks and industry research means investors are much better educated. Ultimately what will convince an investor to write a check is the real and future value of your proposal, and your perceived ability to lead your company. Admittedly, finding a funding partner can be a challenge, but don’t dwell on temporary setbacks or agree to unacceptable terms in a panic. If you believe in your concept, don’t give up. Glenn Singleton is an associate in the Corporate Practice Group at Gardere Wynne Sewell LLP. Mr. Singleton’s diverse practice spans all areas of corporate law, from general contract drafting and negotiation to counseling clients on complex business operations, planning and corporate governance, equity and debt financings, and mergers and acquisitions. 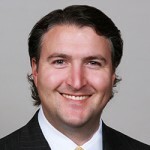 He has served a variety of clients in numerous industries, including: financial, software and web development, medical services and technology, education technology, real estate development, manufacturing and distribution, energy and energy services, retail, service, consulting, private equity, telecommunications services, restaurants and hospitality, and construction. He is a founder of Young Professionals in Private Equity, a Dallas-area networking group. Brilliant summation. Will make sure our clients take a look at these points.